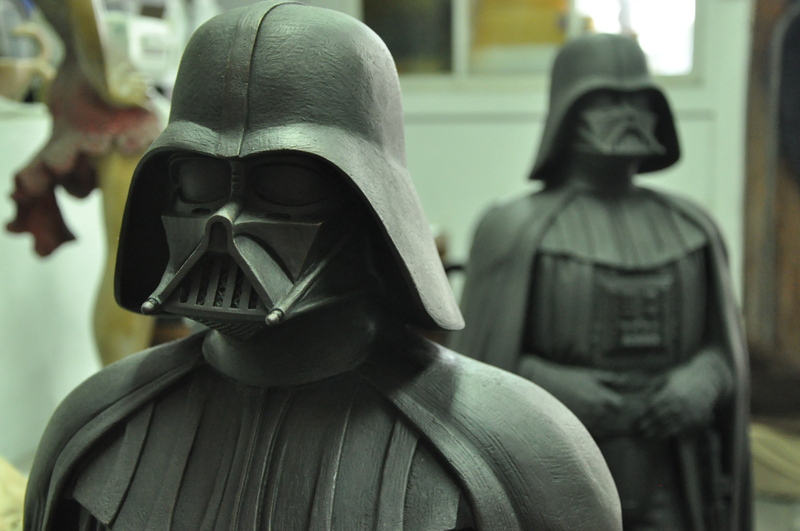 Lawrence Noble’s Darth Vader half-life size pieces are ready to go! 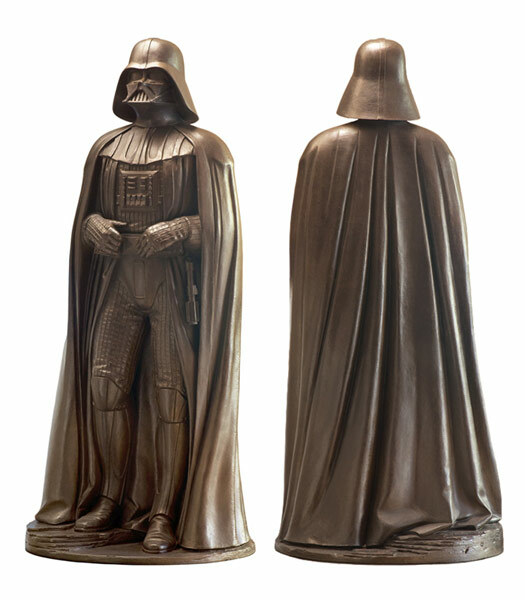 The artist have already cast bronze sculptures of other characters from Star Wars like Yoda. You can find more about Lawrence Noble’s work on his website. 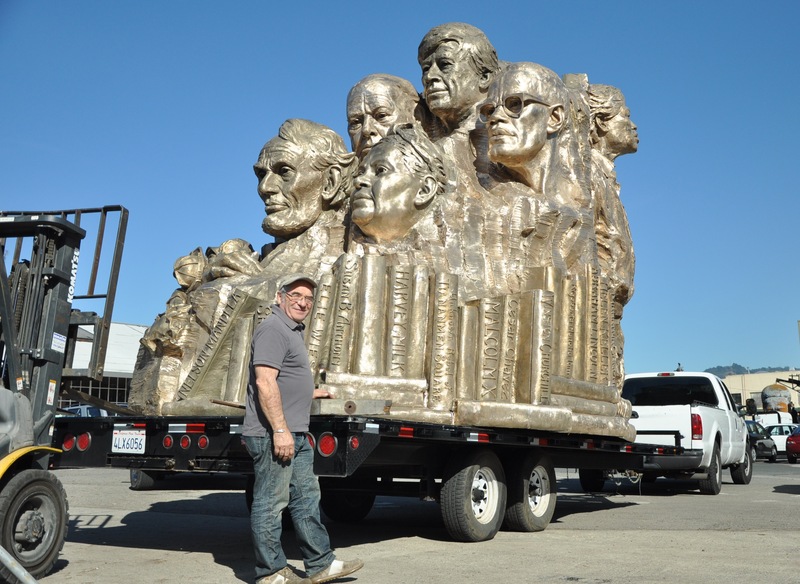 We are happy to say that the 4th and last section of the Remember Them Monument, by Mario Chiodo, is almost ready to go! 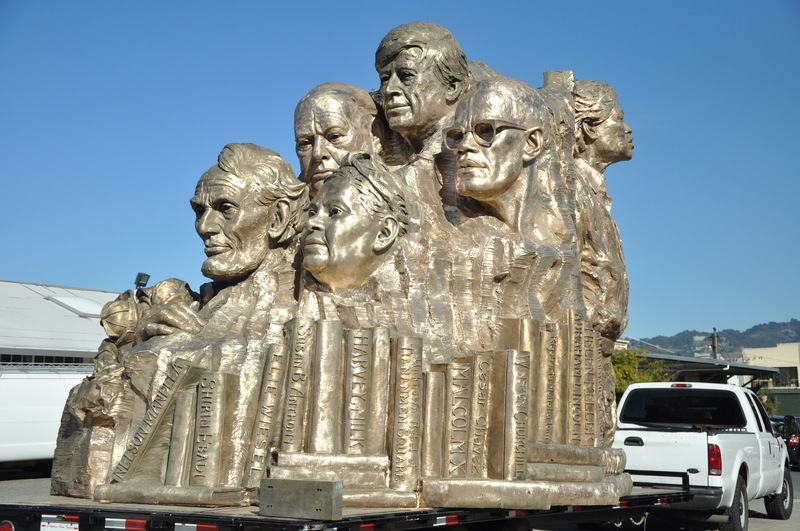 The last section will soon join the other 3 sections already unveiled and located at the Kaiser Plaza, in Oakland (19th Street & Telegraph, across from the Fox Theater). 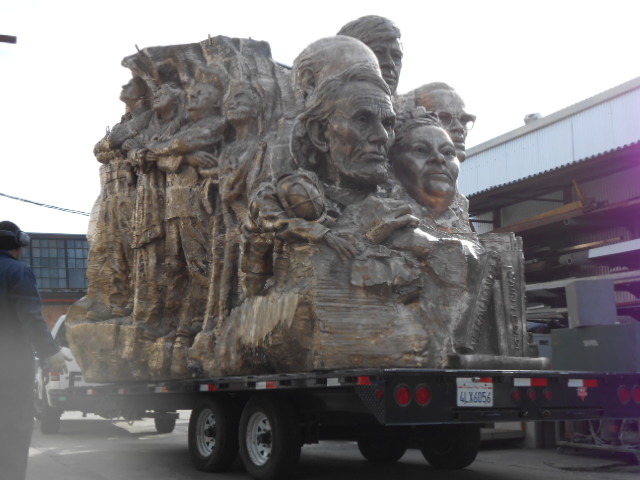 It will be hard to say good bye after so many months seeing this amazing project here at Artworks Foundry! Richmond BART artwork by Mildred Howard is ready to go! 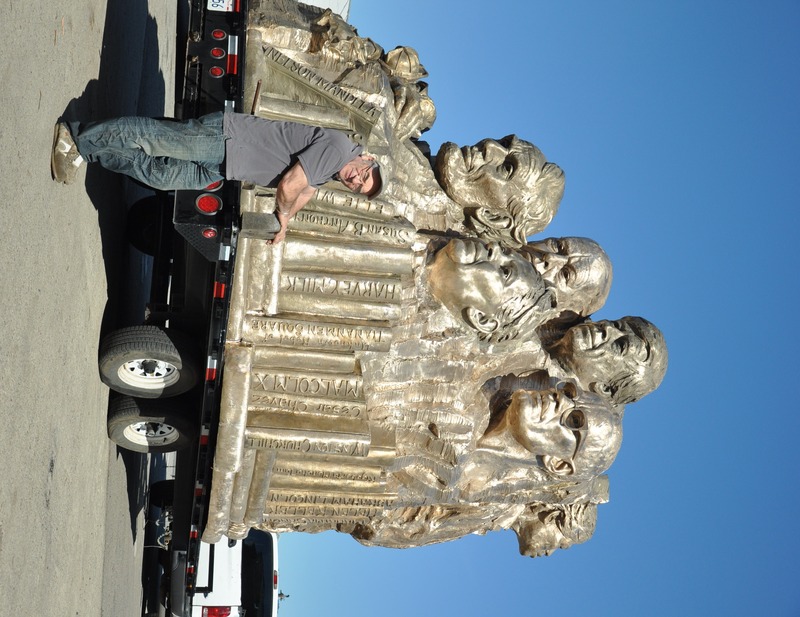 Another monument fabricated at Artworks Foundry is ready to go to its site! 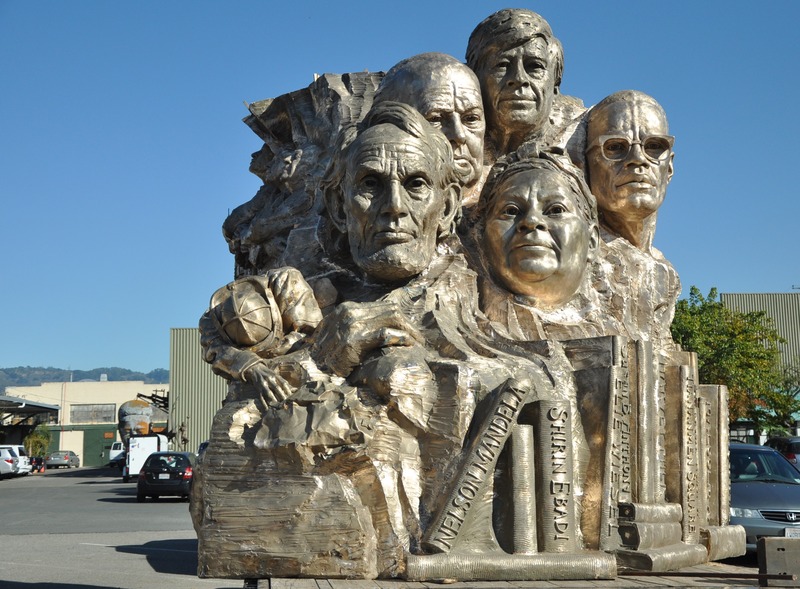 The BART Parking Garage Artwork project was designed by Mildred Howard. It consists in a 12′ x 40′ cor-ten steel wall with a poem carved on it. The wall will be located at the east and west side of the garage building. The words of the poem in the negative space will lit from below making it looks even more beautiful! We can’t wait to install it! The artist Karen Wilberding Diefenbach is opening a new show “The Pecore: recent Sculpture” in San Francisco. The collection was inspired by the enduring sheep, acting both a tribute to Italy’s tradition and a meditation on time, nature and change. The exhibition will be placed at the Italian Cultural Institute of San Francisco, from November 1 until December 14. 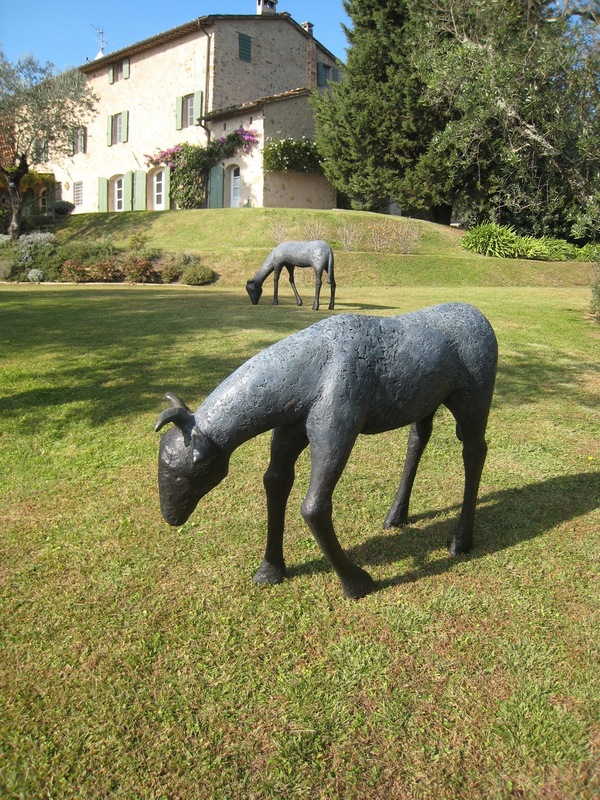 “The Pecore” shows also Karen’s latest bronze sculptures cast at Artworks Foundry. 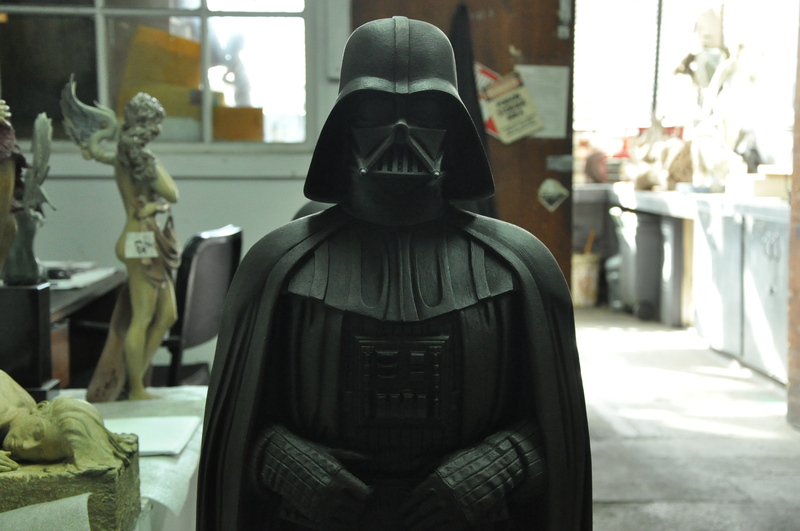 Here you can see a video filmed at the Foundry and where she explains the lost wax casting process. This video is a treasure found among our collection of old videos at Artworks Foundry! 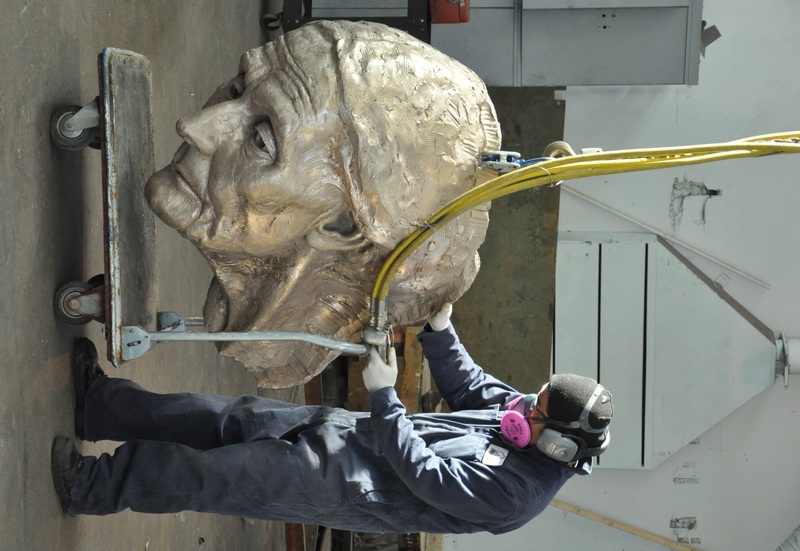 It shows Peter Voulkos’ master piece “Crazy Horse” in progress at our facility. Peter worked on “Crazy Horse” together with Piero Mussi since the first ideas about the piece and he was so excited to see the final results that he used to come to check on it also at night time. 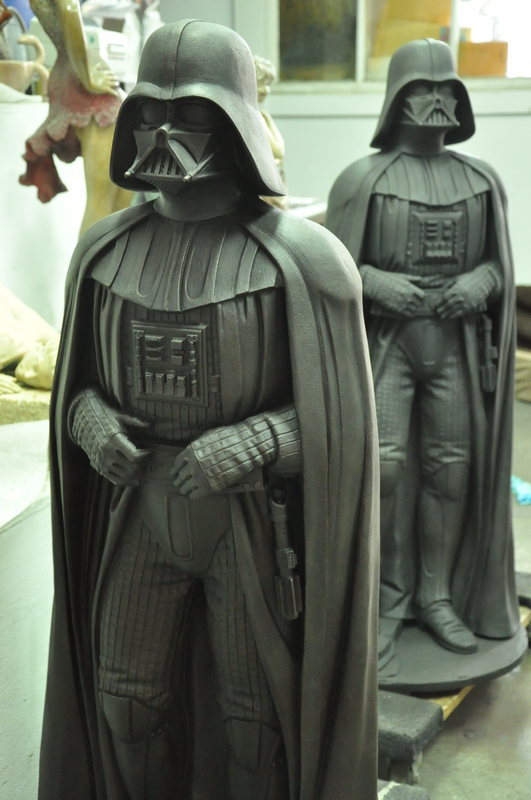 It is a unique artwork and no mold was taken from it, since it was made straight from the wax. 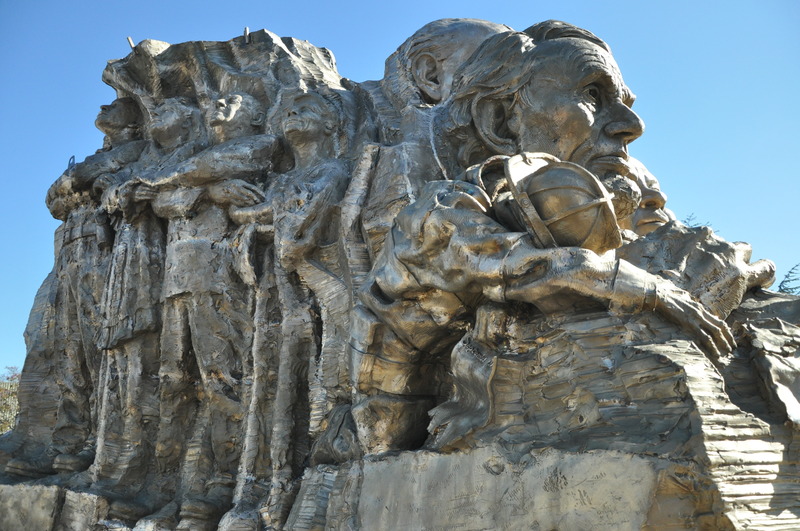 Crazy Horse was finished in 2002 and it was Voulkos’ last piece in bronze. This week we were happy to receive the visit of one of our clients Randy Morrison, from New Orleans. Randy came to check the progress of his pieces that are being cast to go to his next show in New Orleans. You can see more of Randy Morrison’s work on his website. One more of our big projects was unveiled few days ago in a beautiful cerimony realized in Calgary, Canada. The stunning bronze statue was designed by artist Mary Sand and represents the gold-medal winning Hickstead, elected the “Best Horse in the World” in 2010 due to his many victories and participation in many competitons around the world. 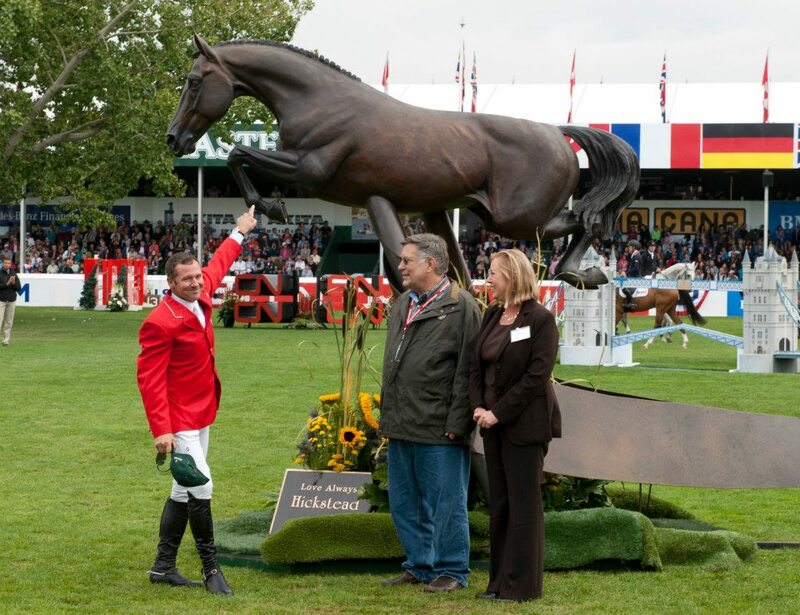 The statue of Hickstead will now be displayed at Spruce Meadows on a permanent basis in homage to this wonderful athlete.